Psalm 104:34- My mediation of him shall be sweet: I will be glad in the LORD. Print the template out and have the kids color it. If you printed the colored one then don't worry about coloring it. 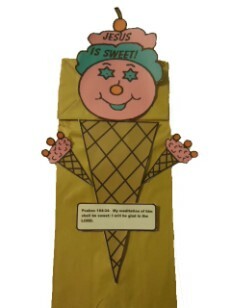 Have the kids tape or glue the head to the bottom of the bag. Glue his cone body and arms down. 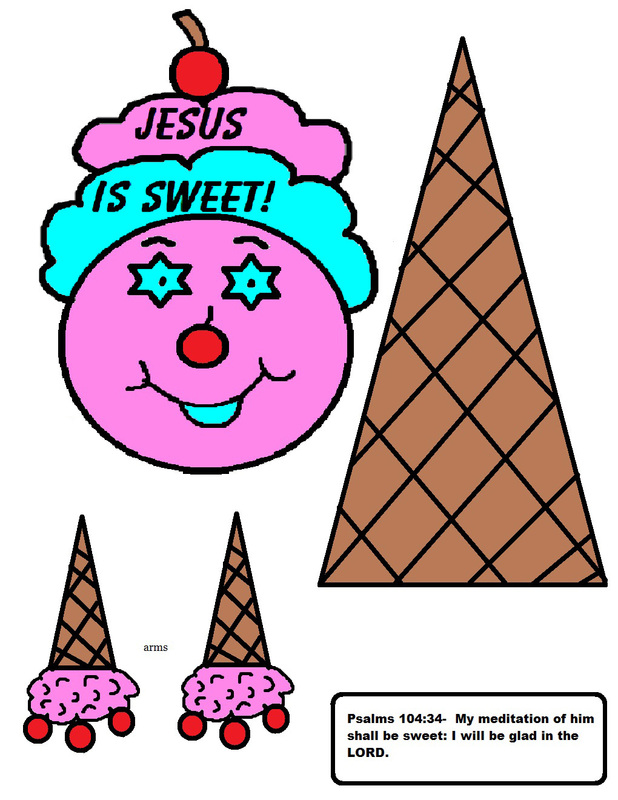 Cut the scripture out and glue to the middle of the cone body. 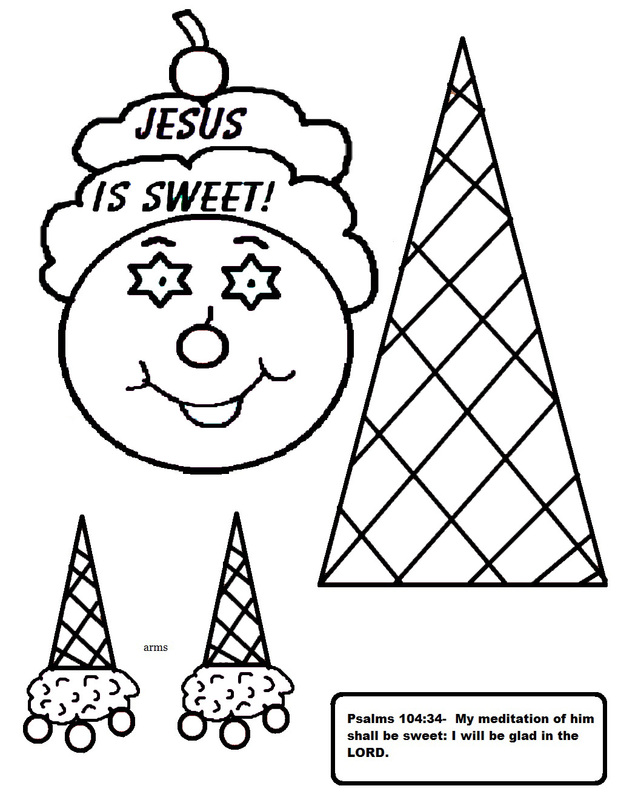 Use this craft to go with the ice cream Sunday school lesson we offer.